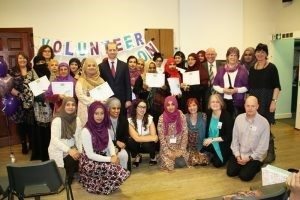 Hyde Community Action celebrated the achievements of their volunteers and the outstanding contribution to Hyde Community Action they make at an event attended by Jonathan Reynolds MP. At the event on the 24th of March, 30 volunteers were awarded for their contribution. The stories of seven courageous women stood out. These were all stories of local Bengali women, who have overcome many personal obstacles to step out of their comfort zone in order to achieve great things for themselves and for the wider Hyde community. 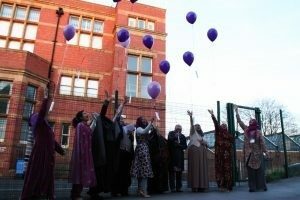 Representatives from the NHS, local councillor Jim Fitzpatrick and a large crowd of HCA volunteers and supporters heard the story of Syeda, who received the Exceptional Progress Award on the night. Syeda arrived in the UK from Bangladesh to become a housewife. For years she was isolated and had low confidence, spending all of her time looking after her family and overlooking herself. But this all changed when she came across a creative crafts class at Hyde Community Action. This was a lifeline that gave Syeda a new purpose and new friends. Her confidence grew and over the years she became so involved as a volunteer, that she started to lead the sessions herself. Fast forward to 2017 where Syeda’s confidence has blossomed and she is successfully running additional crafts classes both at Hyde Community Action and in Newton. The audience also heard the story of Volunteer of the Year award winner Salma, who decided that in addition to being a full time mum, she wanted to give something back to the community through volunteering. Her enthusiasm and commitment to reach out and engage with women in the community, who needed support to come forward and make positive changes in their lives, earned her the award. Through Salma’s very popular baking sessions, she builds rapport with the ladies and supports them in taking on new challenges.